First of all, whisk curd with required water say (1/2 cup), add sugar and mix well. Add saffron in it, to make it more beautiful. 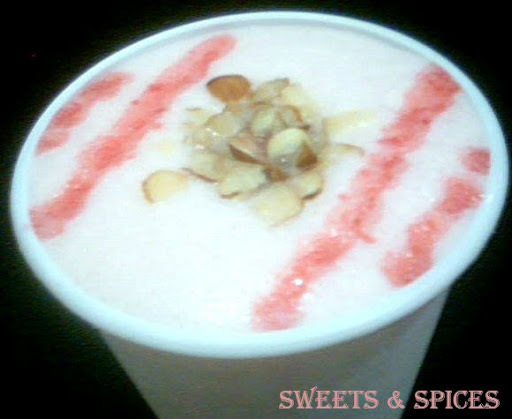 Now after sugar get mixed transfer them in glasses and then add Milk fat, then add Rooh-afza and ice-cubes. Garnish it with mint-leaves and nuts. It’s ready… serve it chilled. You can also make salted lassi , in this you have to take salt (as per taste) and roasted cumin powder (1 tsp) instead of above mentioned. 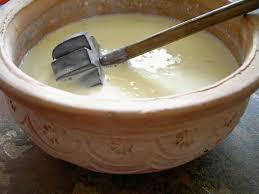 Just whisk curd but add little more water in curd as it is less thicker then sweetened lassi. Mix well.. and serve chilled.